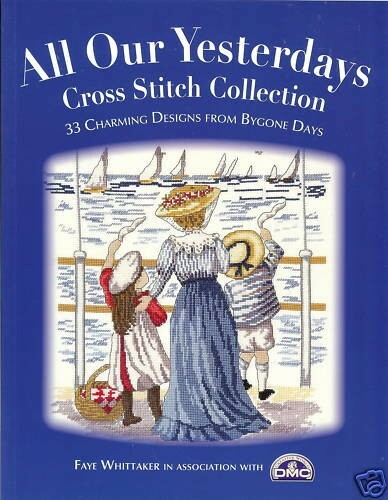 All Our Yesterdays Counted cross stitch pattern book. 33 Charming Designs from Bygone Days. Faye Whittaker. Chapters include Into the Blue, Boat Race, Countryside Charms, Our Best Friend, Schoolyard Garmes, Fun at the Beach, And So To Bed, Boating Fun, Christmas Wonders, The Fun of the Fair. 106 pages. New.